People born specifically on the 28th of September are imagined to be rather creative and expressive yet more impulsive and contentious than most typical Librans. 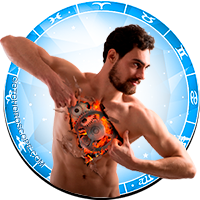 The ruling astrological planet dominant for this particular day is our Sun making you serene but serious and full of natural charisma and vitality. If you have this birthday a streak of independence directs you to usually crave variety and excitement. Naturally friendly and loyal you tend to communicate really well via body language despite a touch of shyness and a need for the approval of others. 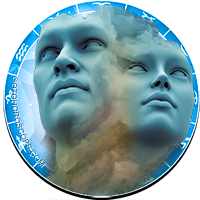 Intelligent and imaginative you are also a tad idealistic but this is usually channeled into your ambitions and things that you truly believe in. Quite tactful with a strong sense of justice you have a generous humanitarian approach to life along with a cheerful optimistic outlook. Individuals with a September the twenty eighth birthday possess plenty of energy and enterprise but also a slight lack of willpower at times. 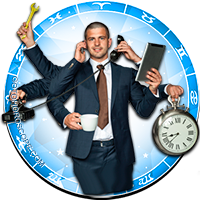 Popular occupation choices to those born on the twenty eighth of September will usually include work that stimulates your intellect and creativity. Any job that allows you to express your individuality and offer regular challenges should satisfy the highly ambitious side of your temperament. While you are ordinarily prepared to put a lot into a satisfying career it will only be for as long as you feel valued. Pay could be important as you often adore splashing out on luxuries and find it hard to resist a bargain. Balancing your finances and living within a tight budget are areas of life you may discover difficult. 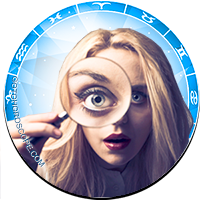 For a Libra, the person born on the twenty eighth day of September is typically warm and loveable with a yearning for romance and intimacy. Your charm and elegance can gain you many admirers and is frequently reflected in your ideal home lifestyle preferences. A perfect partner should appease your requirement for emotional security, help boost your self esteem and advise with encouraging support and lots of love. 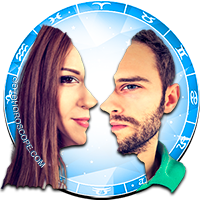 You are unlikely to consider a long term loving commitment if the communication between you is not excellent as well as and in addition to the physical intimate togetherness. Immensely caring and dependable with a great imagination you are normally both romantic, unselfish and a bit adventurous in the bedroom. Your intense loyalty guides you to be big on faithfulness so you will commonly absolutely insist on this complete devotion from your special soul mate. Being proud of your appearance often has a lot to do with the usual good health experienced by those born on September 28th. This pride in how you look usually incites you to take a keen interest in doing all you can to stay as healthy as possible. Monitoring your diet and taking regular exercise are common top priorities in your healthiness routine. When feeling ill you are not very patient so likely to opt for a quick remedy of your symptoms along with medical advice. People born on this day should benefit from occasional solitude in order to free time up to reflect mentally and recharge their batteries physically. Your main strengths of character are displayed in your tasteful articulacy and serenity blended from the fine mixture of optimism and idealism you express. Alongside your other fine fortes of tact, fairness and seriousness you are inclined to be full of positivity and vision for the future. 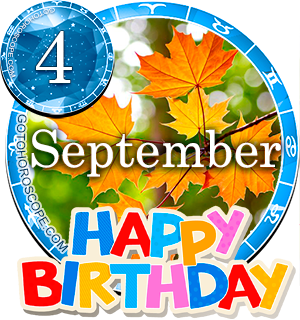 The personality weaknesses for those born on September 28th are once in a while evoked by an episode of unusual sadness, disappointment or fatigue. When your usual coping methods fail the negative part of your manner can make you destructive, argumentative or overly smug and more often than not your degree of impulsiveness elevates. Being born on the 28th of September means you are usually visionary and inventive and this helps you decide the goals you wish to achieve. However you do not cope well with any kind of delay or disappointment and will soon become bored, discouraged or sidetracked. Once you learn to be a little less impatient as well as more persevering you should find many aspirations easier and quicker to achieve. Assistance from others will encouragingly boost and strengthen your will to succeed. Your dreams, guided by a touch of perfectionism are likely to include envisioning harmonious circumstances. 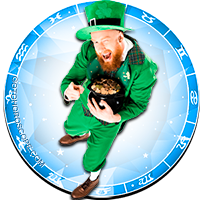 As you were born on the twenty eighth day of the month the total of your birth date reduces to a Root number of One. This numerical reference to your birthday has the keyword 'Drive' in relation to the usual even and positive channeling of your energies and keen ambitiousness. In Tarot the 1st card in the Major Arcana featuring the Magician is associated with your birthday. This identifies your communicative expression and enterprising spirit. The lucky gem for September the twenty eighth birthdays is believed to be a Ruby for the promise of added courage and enhanced contentment. 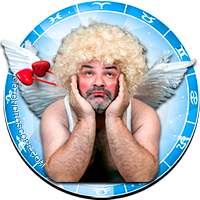 Typified Libran personalities are thought to be strongly influenced astrologically by the power of the planet Venus. The actual day you were born on, the twenty eighth of September is astrally governed by the Sun's authority accounting for your characteristical differences from your zodiac counterparts. Your skillful way with words gets you your own way while your enthusiasm for an assortment of exciting changes makes you readily adaptable. Your charitable generosity shines through into the majority of things you attempt to do. If you can better control your responses to letdowns, mistakes or failures it should quicken progress and teach increased self awareness. A concluding thought for people born on September the 28th is to try and fight the impulse to put off things of importance until another day. Amazing. And truly inspiring. I feel like I are the right energy to inspire others as well as myself in my quest to Luxury. Happy birthday to all my 9/28 Libra Peeps!! I'm too very proud to be born on [COLOR=Magenta][/COLOR]SEP28 and being a libra I'm proud to have those charocteristics!!! Enjoy being a libra overall, but I have to say that I'm tired of beating myself up over a couple of things that went badly in my lifetime. I can't seem to let it go and I wish that I could. Maybe I suffer from some kind of perfectionist disease! See if that's something you can do to help you see pass those memories. Proud to be born on 28 September. What a lovely sign. So good to be born this 28 september. Thank u God. but i think that our deeds are mainly working in making our future. I wonder having a supermoon lunar eclipse on my birthday means anything. I too am a libra born on the 28th everything that is said of us born on this day pretty much is on target. I love being a libra. Wish u a happy birthday in advance. We share the same date. My birthday is 28th Sept. I have wrote a book so the creative issue rings true. I am also (which I'm ashamed to say), very vain. But what the hell we only live this life once so may as well make the most of myself!! I am also fiercely loyal to all I love so that is true as well. Good health!? I almost died last year from lack of blood! I was born 28th September, and I'm proud to be these qualities! I could do the same if I had to!